Register for the Intoxicated Driver Program Assessment for Eau Claire County. Only Eau Claire County residents may register on this website, as the state of Wisconsin requires IDP assessments to be done in the county in which you live. To schedule an appointment, you first need to register and pay a fee of $300 online. For information about registering in person, call 715-514-4600. In Wisconsin, each county designates an agency which is licensed and certified to provide Intoxicated Driver Assessment. For residents of Eau Claire County who have been convicted of driving while under the influence of alcohol or other substances, Eau Claire Community Program is the assigned entity. 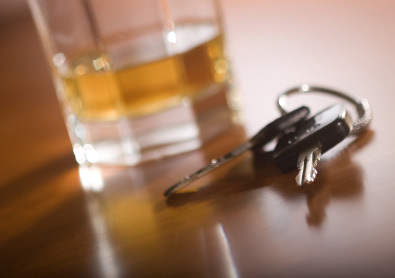 What takes place during an Intoxicated Drivers Program assessment? You will meet with a trained alcohol and drug abuse assessor who will ask you about your use of intoxicating substances. The confidentiality of all information you share is strictly protected by state and federal regulations (42 CFR Part II). The purpose of the assessment is to determine whether a drinking or drug problem exists and to determine the appropriate level of care necessary. A Driver Safety Plan is developed to identify the recommendations for follow-up care. What is a Driver's Safety Plan? Throughout Wisconsin, persons convicted of operating a motor vehicle while under the influence of intoxicants or other related offenses are required to complete an assessment for their use of alcohol, drugs, and prescription medications. All the assessments result in a referral to either an educational program or a counseling program — this is the Driver Safety Plan which is a required component of Wisconsin's Intoxicated Driver Program. The intent of the Driver Safety Plan is to help all of us reduce the threat of repeat-offense drunk driving. How quickly can I get my license back? Once you have completed your assessment, you will receive paperwork that will allow you to apply for reinstatement of your license. Certain criteria need to be met in order for you to qualify for reinstatement. You will need to obtain insurance for individuals with OWIs (SR22); your fines need to be paid; and your suspension time will need to be served. Get started today. Fill out the Client Intake Form now. Have a question? Contact us for more information..